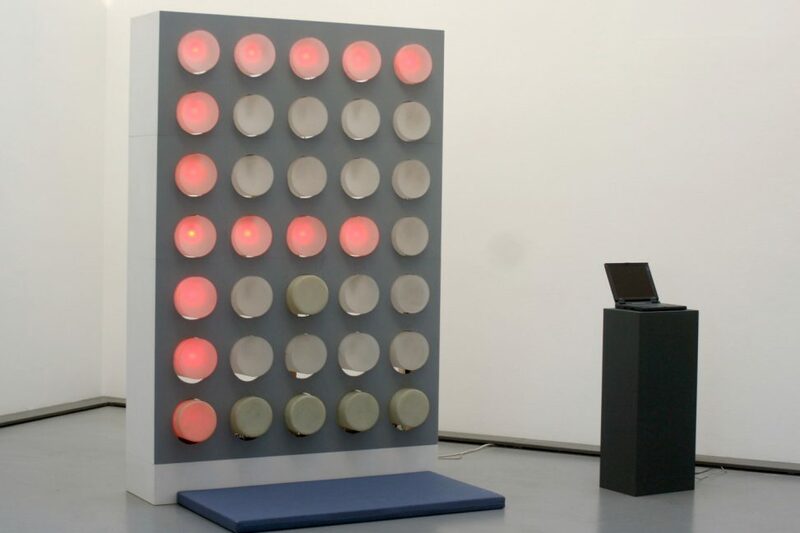 A human sized 5 x 7 dot-matrix display becomes a climbing wall. The individual display dots protrude from the wall and thus form steps and handles to allow the climber to hold on to the display. However, if one uses an unilluminated dot, this dot will cave in, causing the climber to slip and to tumble to the ground. Prior to climbing the display one has to memorise a continuous series of letters, as this is the only way to change the dots one is holding on to in time for the next change of letters. In doing so one can key into a terminal a short sentence. Whoever manages to hold onto the display the longest is the winner. The longer one holds on to the display the quicker the change of letters.